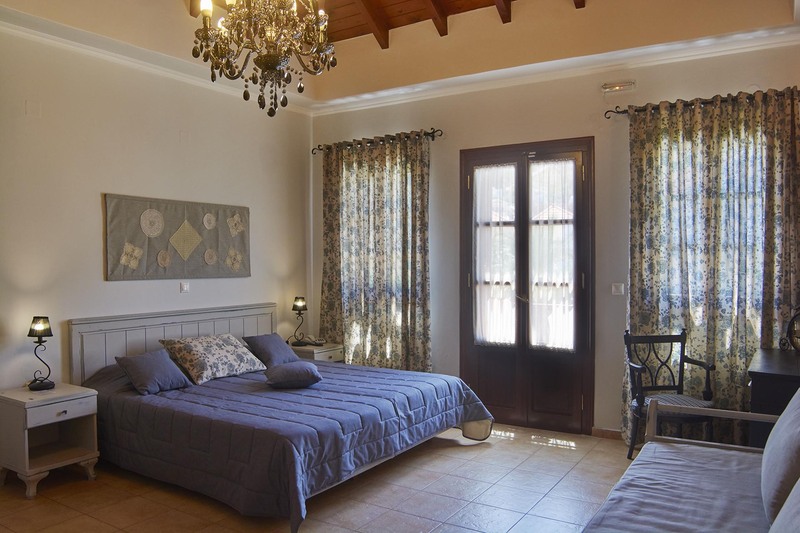 Our yard consists of 1 Iapetos suite, 4 master suites, 6 studio apartments with balcony or terrace, 4 double rooms with balcony and 4 standard studios with terrace. View our facilities & services and book your stay in Symi. Maisonettes (40sqm) with excellent design and a warm island atmosphere. Each is uniquely decorated & has one loft bedroom with 2 single beds and 2 sofa beds, a living room on the ground floor with 2 sofa beds, a fully equipped kitchen, a bathroom with shower, balcony & terrace overlooking the pool or / & garden view. Maximum occupancy is 6 guests. Wi-Fi, direct dial telephone, TV, satellite TV, safe, air conditioning, ironing facilities, fan, wardrobe, shower, hair dryer, bathrobe & slippers, coffee / tea maker, fully equipped kitchen, dining room, outdoor furniture. We are glad that you have chosen to spend your holidays at Iapetos Hotel in Symi. Surrounded by the exotic garden and the hotel's stunning pool. Τhe garden of Iapetos is an oasis in the heart of Symi. It consists of traditional houses, surrounded by the exotic garden and the hotel's stunning pool.